Early entrants who register by September 8, 2019 are eligible for refunds of entry fees or deferral to another upcoming race – athlete’s choice. 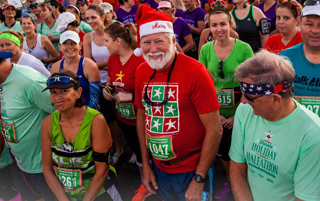 To receive a refund, deferral, or credit, you must register by September 8, 2019 for the Florida Holiday Halfathon & 10K and notify the race director by email (not Facebook) at least 3 weeks before the race or by November 17, 2019. This date is when we order your personalized bib and start preparing your packet. There are no refunds due to cancellations due to an Act of God, such as weather. No deferral or transfer is available if you do not show up for the race. All refunds will be issued after the last race of the series (Shamrock Halfathon & 5K), on or about April 1, 2019.